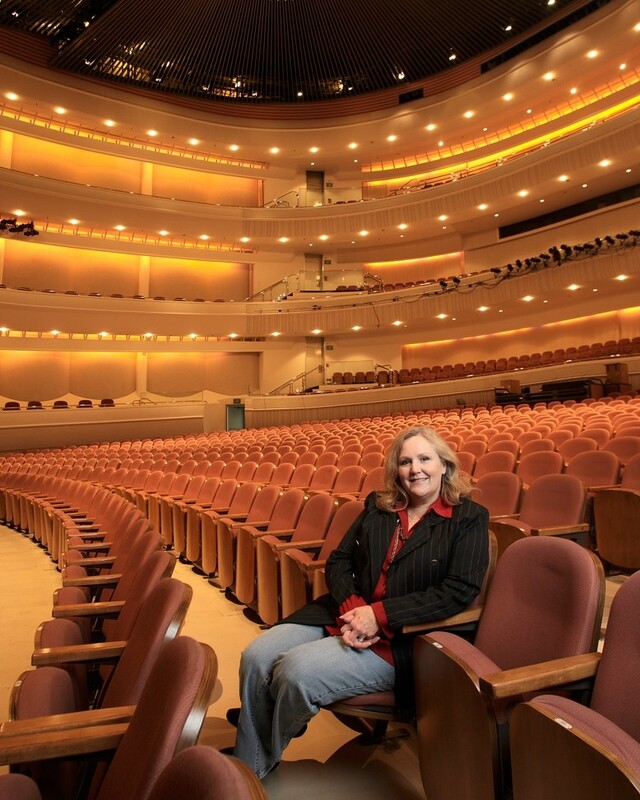 Change is no stranger to the San Luis Obispo Symphony with the recent departure of Sandi Sigurdson. Interim Executive Director and Communications Director Patty Thayer, a 12-year veteran of the organization, has mixed feelings on the subject, but is excited about what is to come. Michael Nowak, the symphony’s conductor and musical director for half of the 50 years, is planning many programs involving various members of the community. “The original vision [for the symphony 50 years ago] was very much about music education for young musicians, and continues that way with a quarter of the budget going to that,” Thayer said. A common theme among Central Coast art organizations is the kiddie factor and the University Art Gallery is no different. Draw-ins, paint-ins, and backstage tours of performances are percolating. “There will be more opportunities for kids in the area to experience the arts, since programs are being sliced and diced.” The gallery is located in the Dexter Building, (Building 34), next to the library. Purist, trailblazer, and survivor are all words that come to mind when you think of Peter Steynberg, owner of Steynberg Gallery. After seeing more than 30 fellow art spaces go out of business, he had to entirely rethink his livelihood, and strategically energizing the place with a café has changed the face of his gallery. Steynberg’s namesake gallery has inspired artists for 11 years, and musicians as well: it hosts a wide array of concerts. Moreover, there’s a daily vegetarian curry meal and wine and beer. 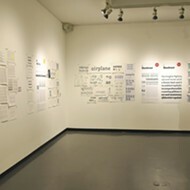 Such mainstays of Steynberg Gallery will continue throughout 2010. 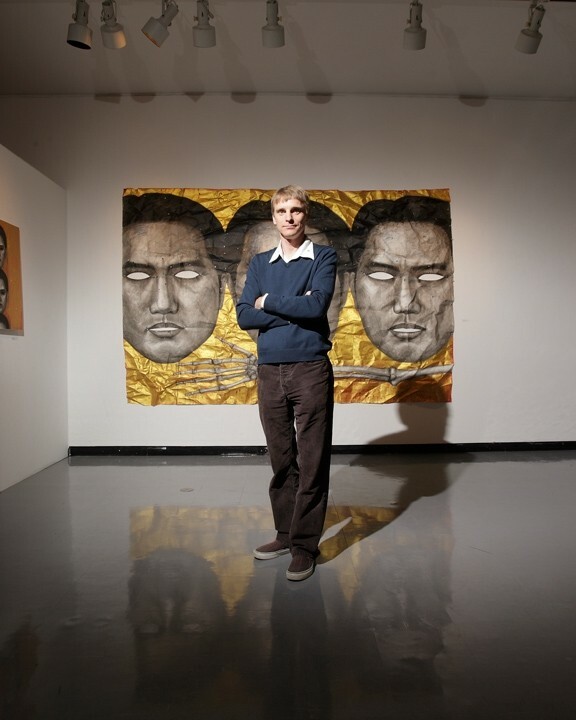 AVANT GARDE : Like his colleagues at six other local art organizations, Jeff Van Kleeck, who coordinates Cal Poly’s University Art Gallery, doesn’t stand on tradition. “It has always been my philosophy to find top-quality musicians, artists, poets, (he has monthly poetry readings, and the quarterly Pecha Kucha events), to keep that standard as high as possible. We want to keep this cultural center going.” The gallery is located at 1531 Monterey St. in SLO. 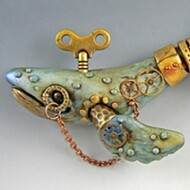 Cuesta College Art Gallery has a history of presenting galvanizing exhibits. Tim Anderson, a 20-year art veteran, will continue to provide unique shows in 2010, such as the show featuring kinetic art that is in the works for autumn, which will involve three sculptors’ work. Anderson insists on widely divergent themes for exhibits and maintaining objectivity in the selection of works. The college gallery is just off Highway One, in room 7120. Mary Turnbull, the octogenarian president of OPAG, the Oil, Pastel, and Acrylic Group, says the group’s name will be the first thing jettisoned in 2010. The moniker doesn’t represent all 188 members’ media. The group does aim to provide a network among fellow artists: “artists helping artists,” with exhibits and such, says Turnbull. OPAG was formed in 1987 and today there are six groups at the SLO Art Center that include watercolorists, printmakers, sculptors, crafters, photographers, and OPAG. 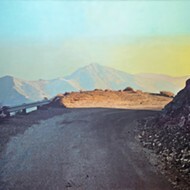 The organization puts on three shows each year including Brushstrokes, a juried show comprised of only SLO County artists, which will take place in July 2010 at the Morro Bay Art Association Gallery. OPAG meets on the third Tuesday of every other month at 7 p.m. (this could be changing to the afternoon), at the SLO Art Center, located at 1010 Broad Street. Everyone is welcome. To say the San Luis Obispo Art Center is going through a metamorphosis is the understatement of 2010. In the coming year ground will break on a new facility, and the Art Center won’t be called the art center any longer. Executive director for the past 12 years, Karen Kile is breaking out the big guns when it comes to this multi-use facility. “We will be broadening and deepening our audience,” providing something for everyone: college students, music fans, and of course the art lovers and artists alike. A steady calendar of lectures, movie nights, and jazz federation concerts are planned for 2010, all aimed toward reaching out to the SLO community, such as David Settino Scott in a dual show at the Art Center and Steynberg, opening on Jan.15, that will include a talk on Feb. 6 during Art After Dark. The Art Center is known for local original art and curated shows. 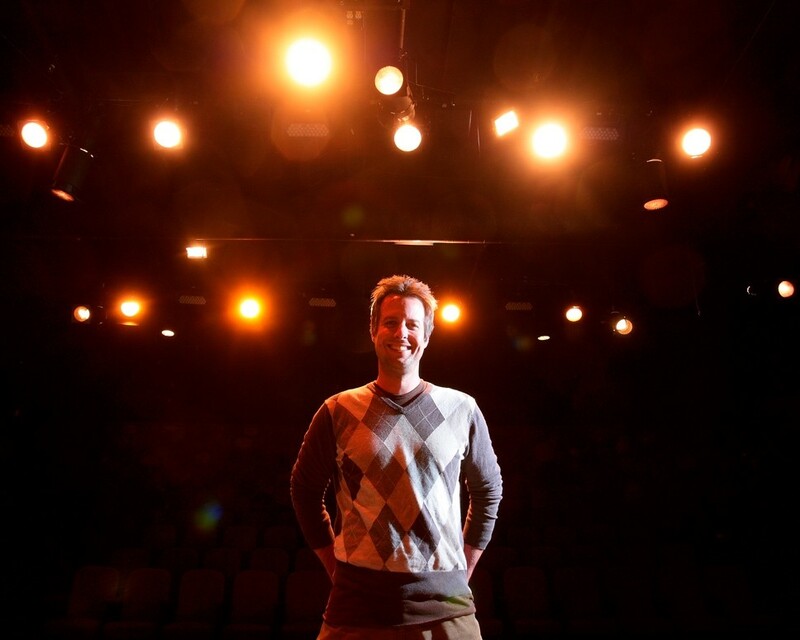 The San Luis Obispo Little Theatre has been staging shows for almost 70 years, although Kevin Harris has been executive director for just one year. 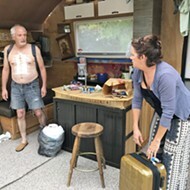 His main vision for 2010, and beyond, is to “reestablish the Little Theatre as a center for the arts in the community.” Harris wants people to start thinking about SLOLT as “their” community theater. Ole Blue Eyes is coming to the stage in the Legends show, Swingin’ with Sinatra in February, with the lead being played by Jeff Salisbury.